We always look forward to seeing new lure designs, especially when its from a company we love as much as Rapala. 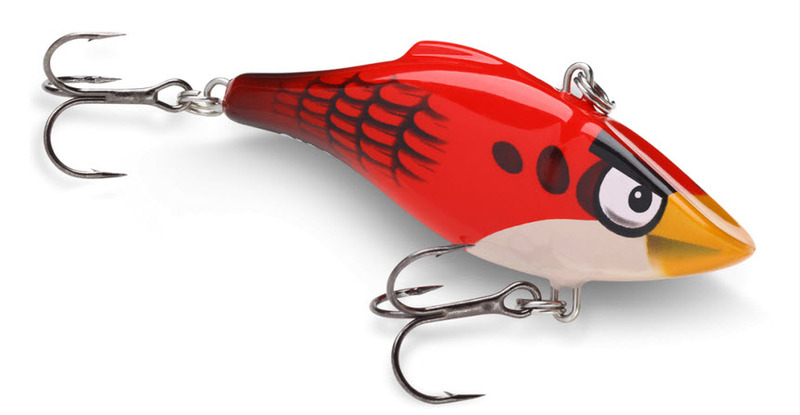 Yesterday Rapala put out a news release with all the exciting details of their latest lure, the Shadow Rap. You can expect to read our review of this lure as soon as we can get our hands on it! As I get older, each year seems to fly by faster than the last. This year has been a very memorable one for me with the addition of a new son and a new set of wheels. I’m looking forward to a lot of adventures this year, and hopefully some big fish too. We wish you all the best in 2015! Here’s a preview of the upcoming season of Facts of Fishing to get you exited about the new year and a new season on the water! There are just 10 days left until Christmas. Hopefully, you have all of your shopping done, but if you don’t, we are here for you! Here are a few gift ideas for your favourite angler this Christmas. These have been out for a while now and have proven to work very well. You really can’t go wrong with these, especially for kids who love to play Angry Birds! A great gift for the angler that already has all the fishing equipment they need! Original prints and vinyl decals available in several sizes. A great gift for the adventurous angler who likes to disappear into the woods for days at a time. The Survival Grenade is a lightweight, compact personal survival kit that include fishing line and hooks. We’ve been rocking dizm shades for about two years and we absolutely love them. The are great looking, well priced, polarized sunglasses that are environmentally friendly! Need the perfect gift for a musky/pike fisherman? Look no further, these rods by Tackle Industries are some of the best musky rods I have ever used. Just imagine the look on their face when you hand them a nine foot long package to unwrap! I finally got around to reading through the latest issue of This Is Fly. As usual, this issue is top-notch and may just be my favourite issue yet. 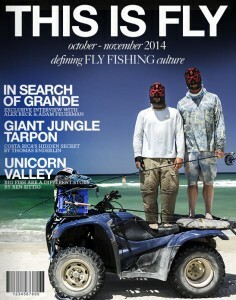 It features some incredible action from the Sea of Cortez and epic adventure from my fellow Canadians, team Hooke. Enjoy. The next issue is due out in January!